Candidates for U.S. citizenship can choose from two classes a year (three sessions each) to prepare for citizenship application and interviews. Representatives from USCIS attend to answer your questions. Adults of all skill levels, cultures and language backgrounds converse in English in a relaxed environment, facilitated by trained volunteers. Practice Your English is held Saturdays at 10:30 a.m. at Douglas County Libraries in Highlands Ranch and Parker. Online tests and prep tools for academic and professional exams. Also includes school scholarship info and a resume builder. Live assistance from Brainfuse on passing the GED, preparing for the U.S. citizenship test, writing a resume, and getting help with Microsoft Office. John got the job at the salary he was looking for! He and his DCL volunteer tutor practiced communication skills. He is now the chief cook at his workplace, managing a kitchen crew and ordering supplies. "People are creating in the library. They're creating businesses, going back to school, studying, because they're going to create something. How would that happen if we didn't have libraries?" DCL tutoring builds confidence. After some general literacy tutoring, Margaret is making plans to re-enroll in high school or pursue her GED. DCL will be with her every step of the way! DCL ESL learners have passed online classes, volunteered for children's field trips, helped friends solve problems by acting as interpreters, and shared books in English with their own children. DCL tutoring makes a difference! Margaret had been driving without a license because her low literacy skills prevented her from passing the written portion of the exam. After DCL-facilitated tutoring, Margaret passed, having missed only two questions. A recent session of Practice Your English included many highly educated people from Peru, Iran, India and Venezuela (to name a few) who wanted to refine their English and improve their accents. A DCL ESL student who had struggled in an English class at the community college received an A on his last paper. He is now employed as a substitute teacher and private math tutor. "The library's literacy program helped me interact with people, and more importantly, gave me the opportunity to teach. When I came to this country, I didn't speak English. Someone took the time to teach me." Tutoring for ESL, basic literacy, and high school equivalency exam preparation is personalized to individual student needs. 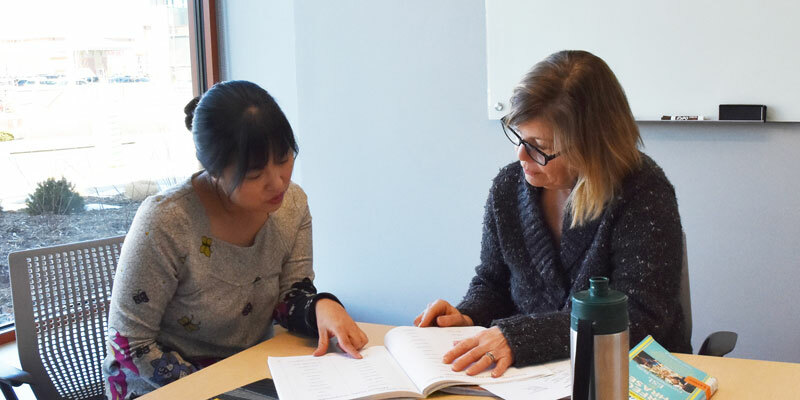 ESL and basic literacy students meet with tutors one hour a week for six months; high school equivalency students study with a tutor for three months. 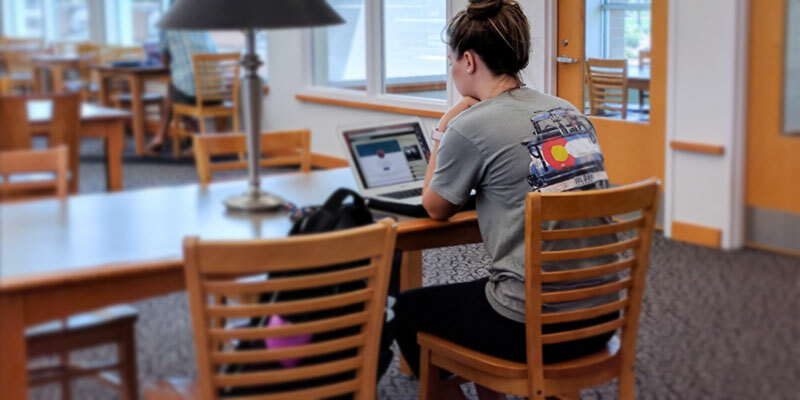 We match patrons to tutors for individualized learning in technology subjects like basic internet use, tablets, email, e-books, popular software basics and more. We are pleased to offer free test proctoring at four locations, by appointment. By submitting the form, I agree to DCL's Proctoring Guidelines. I want to be an adult literacy volunteer!